KMP is multi media player is a one of the famous media player through world. It plays enormous count of media formats without any additional Codec. 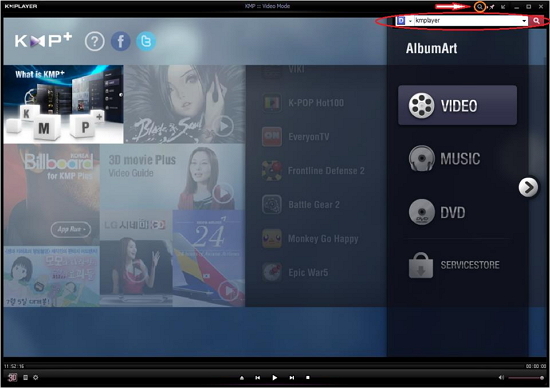 KMPlayer recently released latest verison 3.3 to all with latest features and bug fixes. RM, RMVB file SEEK error correction, corrupted files, modify playback instability. ProRes (APCH, APCN , APCS, ACPO, AP4H) codec added. certain ASF files memory error correction. URL when playing AVI files play that does not bug fixes. MP3 bitrate information mipyo City modification. External audio file is playing an ever-increasing portion of memory modification. update fixes for abnormal termination. show file playback at the beginning of the file name.